Did you know that more than 75% of state unclaimed property reporting deadlines take place in the Fall?  Don’t get overwhelmed by a sudden onslaught of unclaimed property reports, start getting ready in the spring. During our webinar on Wednesday, April 24, 2019, you can learn about the best ways to make the fall reporting season as painless as possible.